Thank you everyone for your support during the Shiraz & Art Weekend 2011. Hope to see you next year! all at the Funky FRESH Market! 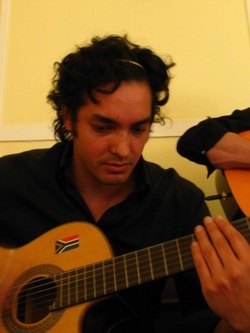 La Boveda is an acoustic guitar duo based in Cape Town, South Africa. Originally, it was formed by two musicians, from very different genres, as a Gypsy Kings and Rodrigo y Gabriella cover band. 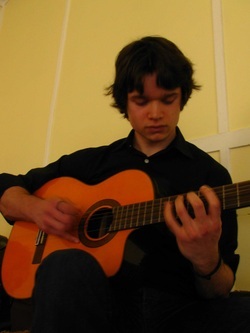 It was an opportunity for a former bassist, Dominic, and a heavy metal drummer, Darren, to pick up acoustic guitars and try something new. They began to create their own sound over time, which is a combination of a number of styles and traditions. An accessible, varied repertoire of songs composed of covers and original material, which shifts from classic flamenco to Latin rock, and even acoustic folk rock, is the result of their journey through flamenco music. 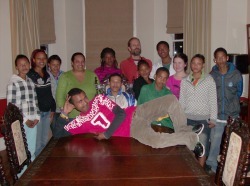 The group's recent production was a hilarious comedy "Smaaklike Ete" from the pen of Willie Erasmus. Michelle Arendse is bringing her soon to be fiancé to meet her parents the honourable Mr Arendse and his wife Mrs Arendse. What could go wrong? It’s only supper………. The first performance coincided with the Riebeek Valley Shiraz & Art weekend the 2nd of October at the Riebeek Valley Hotel in Riebeek West at 7pm. 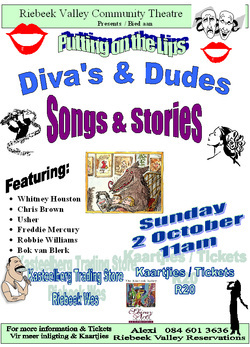 Tickets were R40 and includes a glass of wine and some "smaaklike" eats ! The show was a great success and created a furore of laughter that echod through the Valley. 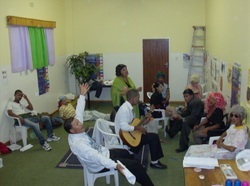 This production went on to participate in the West Coast Toneelfees from the 4th to the 9th of October 2010. Die eerste opvoering van "Smaaklike Ete !" 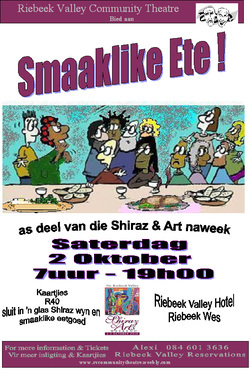 gebeur Saterdagaand 2 Oktober om 7nm as deel van die Shiraz en Art naweek. Die gehoor sal vermaak word by die Riebeek Valley Hotel in Riebeek Wes. Saam met 'n lekker glasie wyn en smaaklike versnapperinge sal hulle skaterlag saam met die Arendse familie. Watter smaaklike ete wag daar op almal.....?